If you need a new garage door for your home or place of business in northwestern Vermont or New Hampshire, Overhead Door Co. of Burlington can help! For over six decades, we’ve been repairing and replacing garage doors throughout the area—and we look forward to helping you. Call (802) 448-4752 or fill out an online form to get in touch with our experts today! Our fiberglass-surface garage door could be just the door you need for your home! One of our professionals will be able to tell you if a repair is sufficient or if you need to replace the door. We’ll determine what the problem is (broken spring or cable, busted motor or anything else) and fix it in a timely manner. 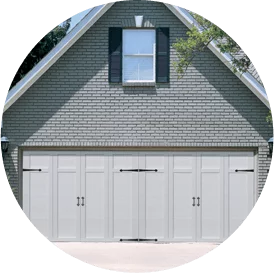 Overhead Door Co. of Burlington can handle all your residential and commercial fiberglass garage door needs in northwestern Vermont or New Hampshire. Our local garage door company offers the highest quality residential and commercial service. Contact us online or call (802) 448-4752 to learn more!